Please note that this speech was given in English originally, as he explains. This translation was made back from the Spanish translation. I’ve found no transcript of the English original. Fidel has mentioned this speech elsewhere also as having been given in English. The Spanish was taken from the Cuban government website. Please note: “ASTA” refers to the American Society of Travel Agents. SPEECH GIVEN BY COMMANDER FIDEL CASTRO RUZ, PRIME MINISTER OF THE REVOLUTIONARY GOVERNMENT, AT THE OPENING CEREMONY OF THE 29th “ASTA” CONVENTION HELD IN THE BLANQUITA THEATER ON OCTOBER 19, 1959. 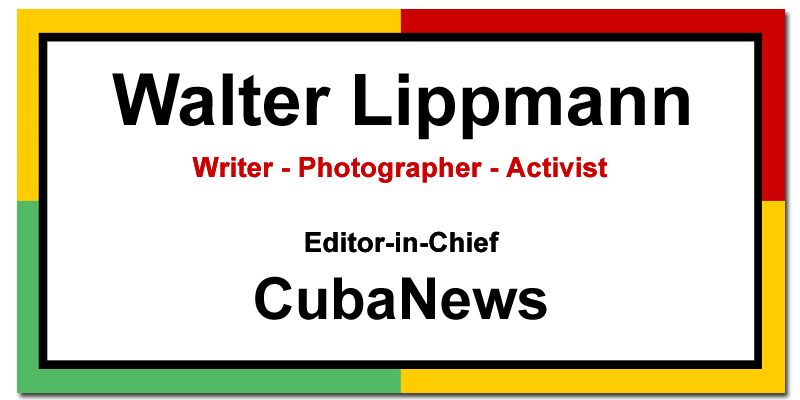 A CubaNews translation. Edited by Walter Lippmann, January 2010. In line with my age-old difficulty, when I took the floor I was not sure whether I was going to speak in English or Spanish, but in the end I decided to do it in English because I want to make myself properly understood. Well, here I am giving a speech, and you will probably go through the same thing I went through during this meeting as we listened to the speakers. However, I hope you will be able to understand my English (APPLAUSE). I don’t have much to tell you; actually, it’s not the Government who should speak in these cases: what you get to see is what matters, and not what you have read or heard about the people. Whatever I say here in that respect is hardly important. What the people might say is what counts. Whatever you can see by yourselves through the eyes of the Cuban people is the most important thing. I just want to say that we in Cuba are very happy and grateful to you for honoring us all with your presence in this Congress and your visit to Cuba, because that’s what it is: a great honor as well as a great help for us (APPLAUSE). As has become customary, tourism has increased very much in the places where you have held your regular meetings. The figures speak for themselves, proving that it is so everywhere you go. Now you, the leaders of this organization, will understand the benefits of your visit, because the most prestigious travel agencies in the world are represented in ASTA (APPLAUSE) and our traditionally noble and hospitable people thank you for your visit. That’s why all Cubans have long been looking forward to having you here; that’s why our workers finished the airport for you, working night and day in nine- and ten-hour-long shifts, and many other works were finished as well in a few days (APPLAUSE). That’s why you will be warmly welcomed and treated in every hotel, every street, every taxi, and everywhere you go in Cuba. We are quite confident of the way our people behave because we know them very well and have absolute faith in them. Cuba’s impression on you won’t come from my speech or my words. I could say many things here, but I’m sure that you will be very impressed with our people. We don’t care much for political propaganda; we want you to believe in facts, not words. I know the world is not perfect; I know that people throughout history have dealt with all sorts of difficulties, but history has made it plain that these difficulties are not important, because mankind has solved many problems along the way, and people all over the world will keep on making progress in the future to overcome their difficulties. It’s impossible to speak about ourselves, so I honestly insist here that we have no interest whatsoever in any kind of propaganda and ask you to please put all your political ideas aside. You and your friends are professionals, not politicians, and your mission is to help your friends find the happiness our world may provide. We don’t have many things; we are not an industrialized country and lack a number of things, but in the field of tourism we have many advantages, like our sea, bays, beaches, all kinds of medicinal waters, mountains, game and fishing preserves, and the best temperature in the world. Maybe we don’t have the great beauty of the snow, but we have summertime and sunshine the whole year long (APPLAUSE). You and your friends need to have sunshine in the winter, and of that we have as much as you want, and we have as much blue sky as you want, as well as beaches with sands of every color and a gentle cool breeze in the summer. I don’t mean to boast when I say that we may not have many things but we do have many good things for tourists, in addition to our people, which is more important than all that natural beauty (APPLAUSE). We have no doubt as to what tourists will find here. We expect many things from our people, although not everyone has the same cultural level because Cuba never had enough schools to teach the whole people to read and write. Now we will have as many schools as we need. Still, the Cubans are a noble and hospitable people, and what’s more important, they don’t hate anyone. Our people love all visitors and make them feel at home (APPLAUSE). What you see now and what you will see in two, three or five years is beyond comparison because our best things are still in the planning stage, but they will soon become a reality. From this premise we are determined to develop tourism as much as possible, with a good service and, especially, fair prices, because rather than having 100,000 people paying for expensive hotel rooms and items we would like many hundreds of thousands to come, not only the wealthy but also those who are not rich and those who have no other fortune than their job (APPLAUSE). Pricing is important because we don’t want to exploit tourists at all (APPLAUSE). Unfortunately, the tourists in Cuba, like elsewhere, used to be exploited. We don’t have everything tourism needs, but I can tell you that we’re discovering and developing everything we do have so that next time you come –since you’re busy these days but we hope you will come again on vacation, because you also need to take a vacation some time (LAUGHTER AND APPLAUSE)– you will be surprised to see how much progress we will have made. This is the most important message we wanted to send you, and not one of my words was intended to impress you. Instead, we want you to be impressed by what you see across Cuba. You and your friends and whoever you ever recommend to come will be welcomed with open arms everywhere you go in Cuba (APPLAUSE), because our ambition, which is a well-intended ambition, is to turn our Island into the best vacation resort and the most important destination worldwide. That ambition is what encourages our people to pursue such goals, and we’re sure and convinced that we will succeed despite any difficulty or adverse propaganda, because you cannot full all of the people all the time, like Lincoln said. Working for the people is all we do, and we’re sure that we will count on the understanding of all kind-hearted women and men of the world. So let me finish by wishing you the best of stays in Cuba (APPLAUSE). NOTE:This says he spoke in English, but what we have here is a translation from the Spanish. I assume it was translated to Spanish and kept in that form when it was posted to the Internet many years ago. Since Cuba’s tourism industry is a subject of some controversy abroad, I thought readers here would find this document of considerable interest, all the more so as it’s more than fifty years old. DISCURSO PRONUNCIADO POR EL COMANDANTE FIDEL CASTRO RUZ, PRIMER MINISTRO DEL GOBIERNO REVOLUCIONARIO, EN EL ACTO DE APERTURA DE LA VIGESIMONOVENA CONVENCION DEL “ASTA”, CELEBRADO EN EL TEATRO BLANQUITA, EL 19 DE OCTUBRE DE 1959. Es mi eterna dificultad, que no estaba seguro cuando iba a hablar, si lo debía hacer en inglés o en español, y al fin decidí hacerlo en inglés, porque deseo que me entiendan bien. Bueno, yo estoy aquí haciendo un discurso y seguramente a ustedes les sucederá lo mismo que me sucedió a mí durante esta reunión, oyendo a los oradores; no obstante, espero que puedan entender mi inglés (APLAUSOS). No tengo muchas cosas que decirles; realmente no es el Gobierno en estos casos quien tiene que hablar, sino lo que ustedes puedan ver. No importa lo que hayan leído u oído acerca del pueblo, y es poco importante lo que yo pueda decir aquí acerca de eso; lo más importante es lo que el pueblo pueda decir, lo más importante sobre Cuba es lo que ustedes mismos puedan ver a través del pueblo. Yo solamente quiero decir que nosotros en Cuba estamos muy felices y agradecidos a ustedes por el honor de este Congreso, de esta visita a Cuba, porque es un gran honor y una gran ayuda también para nosotros (APLAUSOS). Es tradicional que los lugares que ustedes han visitado en sus periódicas reuniones han incrementado mucho su turismo; las estadísticas hablan por sí mismas de que en todos los lugares que ustedes han visitado se ha incrementado el turismo. Ahora ustedes, los líderes de esta organización, comprenderán los beneficios de vuestra visita, porque ustedes, el ASTA, representan las más conocidas organizaciones de agencias de pasajes del mundo (APLAUSOS), y nuestro pueblo, que es tradicionalmente noble y hospitalario, les agradece su visita. Por eso es que todo el mundo en Cuba ha estado esperando por ustedes desde hace muchas semanas; que nuestros obreros, trabajando nueve y diez horas diarias, día y noche, terminaron nuestro aeropuerto para ustedes, y que muchas obras han sido terminadas en pocos días (APLAUSOS). Es por ello que en cada hotel, en cada calle, en cada vehículo y en cada lugar de Cuba que ustedes visiten, encontrarán la más absoluta identificación y la mejor atención. Nosotros estamos seguros de la conducta de nuestro pueblo, porque conocemos muy bien a nuestro pueblo, porque tenemos una gran fe en nuestro pueblo. La impresión de ustedes sobre Cuba no será una consecuencia de mi discurso o de mis palabras. Yo podría decir muchas cosas aquí, pero estoy seguro de que ustedes tendrán una buena impresión de Cuba por nuestro pueblo. que estas dificultades no son importantes, porque la humanidad, que ha tenido muchas dificultades desde sus comienzos, las ha resuelto y, en el futuro, el hombre en todo el mundo continuará progresando, encontrando dificultades y resolviéndolas. Resulta imposible hablar sobre nosotros mismos, por eso sinceramente les digo que no tenemos interés en ninguna clase de propaganda y les pido que olviden todas las ideas sobre política. Ustedes y sus amigos son profesionales, no son políticos; la misión de ustedes es ayudar a vuestros amigos a tener esos momentos de felicidad que es posible encontrar en este mundo. No tenemos muchas cosas, no somos una nación industrializada; tenemos algunas desventajas en algunas cosas, pero en este aspecto, en turismo, tenemos una gran cantidad de ventajas: tenemos mar, tenemos bahías, tenemos playas, tenemos aguas medicinales de todas clases, tenemos montañas, tenemos caza, tenemos pesca en el mar y en el río, y tenemos la mejor temperatura del mundo. Nosotros tenemos verano todo el año, tenemos sol; no tendremos la hermosura y la belleza maravillosa de la nieve, pero tenemos sol (APLAUSOS). Ustedes y sus amigos en invierno necesitan sol, nosotros tenemos todo el sol que ustedes quieran; cielo azul, todo el cielo azul que ustedes quieran; playas y arenas de todos los colores; en verano tenemos aire fresco. No es vanidad, no tenemos muchas, pero sí muy buenas cosas para los turistas, y más importantes que todas esas bellezas naturales es nuestro pueblo (APLAUSOS). No tenemos ninguna duda sobre lo que el turista encontrará aquí. Nosotros esperamos mucho del pueblo, no porque tenga una gran cultura todo el pueblo, ya que realmente no ha habido en Cuba suficientes escuelas para que todo el mundo supiera leer y escribir, ahora sí tendremos las escuelas necesarias; pero nuestro pueblo es un pueblo noble y hospitalario, y la más importante condición es que nuestro pueblo no odia a nadie, nuestro pueblo ama a los visitantes y hace que nuestros visitantes se sientan aquí como en su propia casa (APLAUSOS). No hay comparación posible entre lo que ustedes ven y lo que verán dentro de dos, tres o cinco años, porque nuestras mejores cosas están en proyecto y se convertirán en realidades muy pronto. Tenemos el propósito de desarrollar el turismo tanto como sea posible sobre esta base: buen servicio y precio justo, sobre todo precio justo, porque lo que nosotros queremos no es que vengan 100 000 a pagar precios altos por una habitación y por nuestros artículos, lo que queremos es que vengan muchos cientos de miles de personas, de modo que los que vengan a Cuba, a nuestras playas, no sean solo los que tienen grandes fortunas, sino también los que tienen pequeñas fortunas y los que no tienen otra fortuna que su trabajo (APLAUSOS). Los precios son muy importantes porque nosotros queremos abolir toda clase de explotación a los turistas (APLAUSOS). Y en Cuba, como en otros lugares, infortunadamente, los turistas eran explotados. Nosotros no tenemos todas las cosas que el turismo necesita, pero sí les puedo decir que estamos descubriendo y desarrollando todas las que nosotros tenemos, para que el próximo año que ustedes visiten algunos lugares de Cuba, o cuando vengan aquí la próxima vez —porque ahora ustedes están trabajando y esperamos que cuando estén de vacaciones vengan también, porque ustedes también necesitan vacaciones (RISAS Y APLAUSOS)—, se sorprendan de cómo hemos avanzado en nuestro trabajo. Esto es lo más importante que nosotros queríamos decirles, ni una sola palabra para impresionarlos, queremos que se impresionen con lo que ustedes vean en toda Cuba. En toda Cuba serán bienvenidos y recibidos con los brazos abiertos (APLAUSOS), ustedes y sus amigos; ustedes y todos a los que ustedes les digan que vengan a Cuba, porque nuestra ambición, que es una noble ambición, es la de convertir a nuestra isla en el mejor lugar para vacaciones, y en el mejor y más importante centro turístico del mundo. Esta es la noble ambición que estimula a nuestro pueblo a desarrollar esos propósitos, y estamos seguros y convencidos de que nosotros lo lograremos a pesar de toda clase de dificultades, a pesar de toda clase de propaganda, porque el pueblo no puede estar todo el tiempo confundido por las mentiras, como dijo Lincoln. Esta es la única cosa que estamos haciendo, trabajando para el pueblo, y estamos seguros de que encontraremos en todos los buenos corazones de las mujeres y de los hombres la mayor comprensión. Así que termino deseándoles los mejores días y las mejores horas en Cuba (APLAUSOS).